I grew up in a household where homemade sauce was a staple, and let me be up front, we aren’t Italian. But my dad’s a New York Jew so that’s pretty close. Whether a marinara, a white wine clam sauce, or a perfect pesto both of my parents were sauce masters. It’s something I’ve tried to copy in adult life but I swear I never get it quite the way they do, I’m hoping it just comes with time. 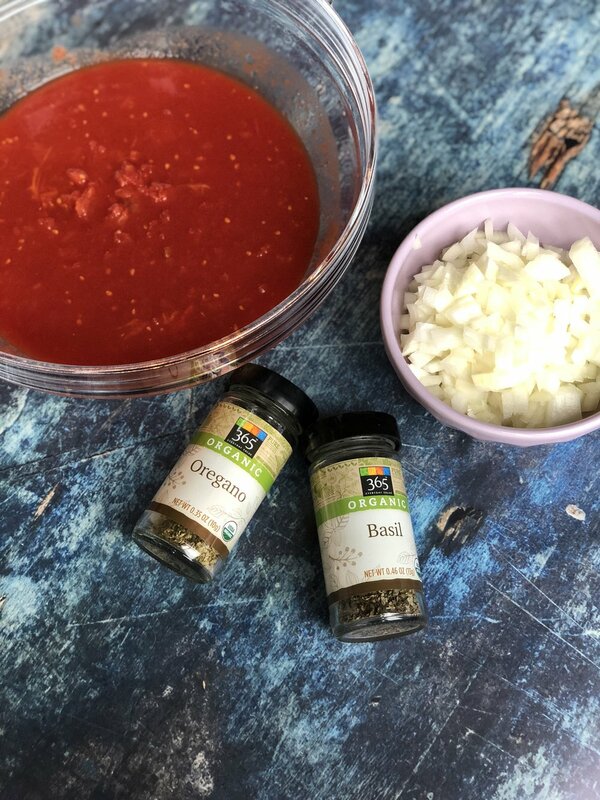 That said, one simple sauce that generally just works is this quick 30 minute tomato sauce that you can use for anything. It’s just 2 ingredients and 4 simple spices but it works. For this particular instance I made it for my mom’s famous eggplant parm (truth be told I bought a jarred sauce because I was feeling lazy but when i got home and tasted it I just couldn’t go through with it - too sweet) so alas I made my own and I’m glad I did! 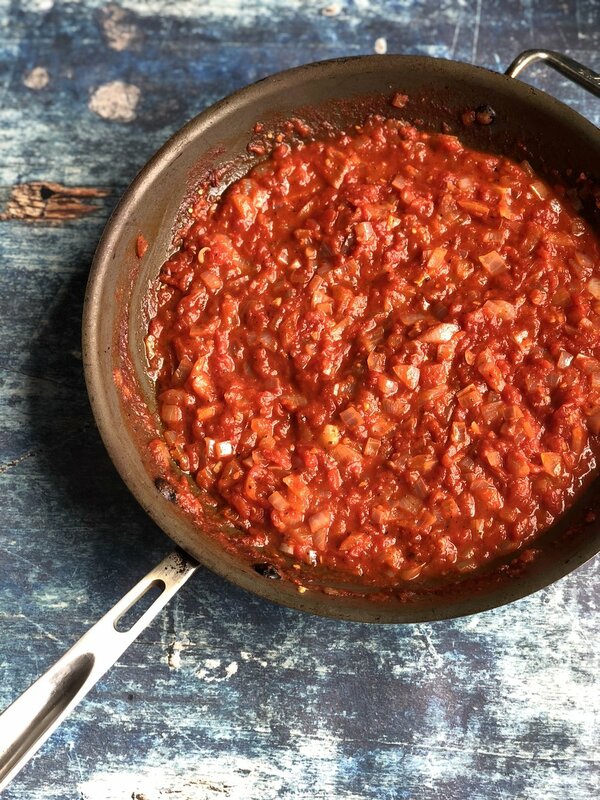 Decant the tomatoes into a large bowl and with your hands squish the whole tomatoes into a pulp. Dice the onion and add it to a large sauce pan on high heat with a heavy drizzle of oil. Once the onions are translucent add all of the seasonings and stir. Next add the crushed tomatoes and simmer for 30 minutes stirring occasionally. Note: It’s a chunky sauce which I love but if you wanted it less chunky, use half of the onions or grate the onions instead of dice them!